Teacher sponsorship supports and blesses the hardworking educators at Haven of Hope's partner schools. It helps provide for their needs, so that they can fully invest in their students every day. Haven of Hope supports schools serving orphaned and vulnerable children through our child sponsorship program. The teachers at these schools work hard to provide their students with an excellent academic education, in addition to counseling, discipling, monitoring their students' health and well-being, and playing other roles behind the scenes. Much of their salary is provided through teacher sponsorship. Sponsorship makes it possible to offer these educators fair compensation for the invaluable work they do each day. It helps meet their personal needs, so that they can focus on educating their students well. 1. Choose a teacher to sponsor below. Within a few days, we will mail you a packet containing the teacher's photo and information about them. It will also explain how to make payment for your sponsorship. Teacher sponsorship is $50 per month. This may be paid monthly via automatic withdrawal from a checking or savings account, or annually via a check for $600. 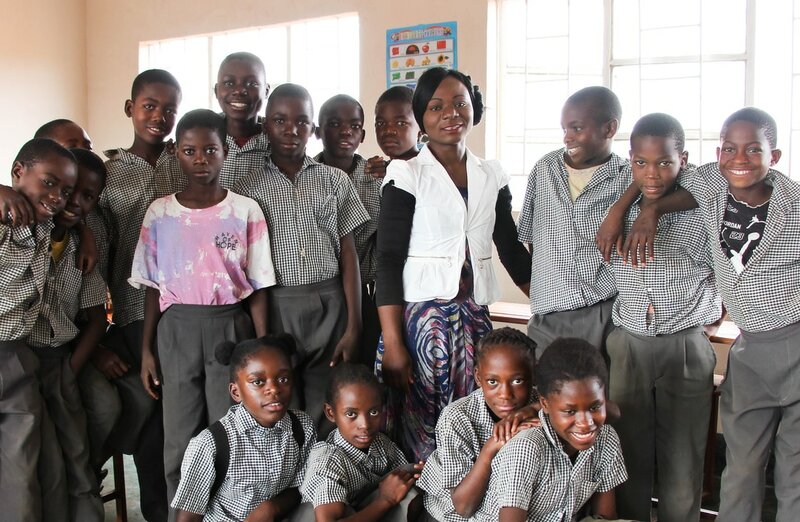 100% of your sponsorship contribution will support teacher salaries at your teacher's school. 2. Pray for the teacher daily. Prayer is vital! Teachers are encouraged in knowing that their sponsors are covering them and their students in prayer. 3. Write letters to the teacher and bless them with Christmas gifts. Twice a year, we will invite you to write a letter to the teacher. This is a wonderful way to encourage and uplift them. In the fall, we will also offer you the opportunity to provide a few Christmas gifts for the teacher in a gallon-sized Ziploc bag (delivered or mailed to our Pennsylvania office), should you wish to. Upon receiving your letters and gifts, the teacher will write a letter to you. Our teachers are fully sponsored!